It is an uncommon type of oral piercing done through the frenulum, a small fold of tissue of the upper lip. In the mid 90’s, a German magazine had published an image of Steve Harworth, a well-known body modification artist, sporting a smiley piercing. 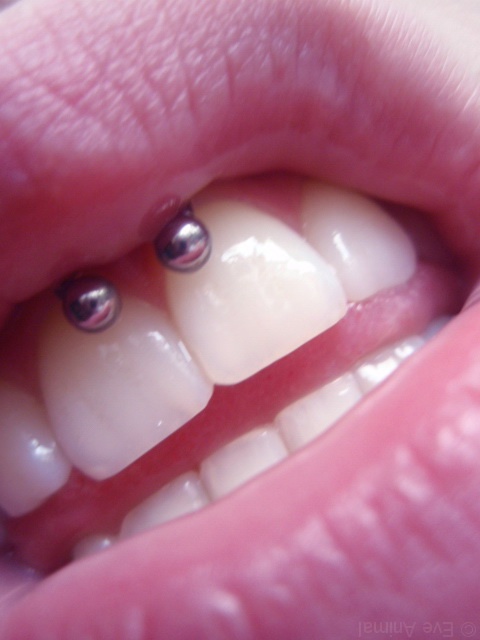 Since the piercing becomes visible whenever you smile, it has been given this name. 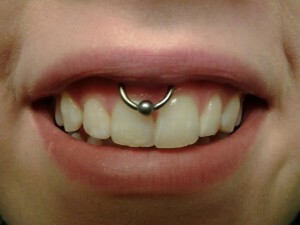 It is sometimes referred to as scrumper piercing or upper lip frenulum piercing. 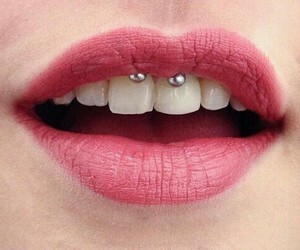 On the other hand, anti-smiley piercing is another type of lip frenulum piercing where the small flap of tissue connecting the lower lip with the gum is perforated. 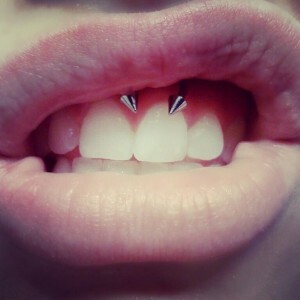 Opt for a professional piercing studio having hands-on experience in all types of oral piercings. You will be given an antibacterial solution for washing your mouth prior to the procedure. 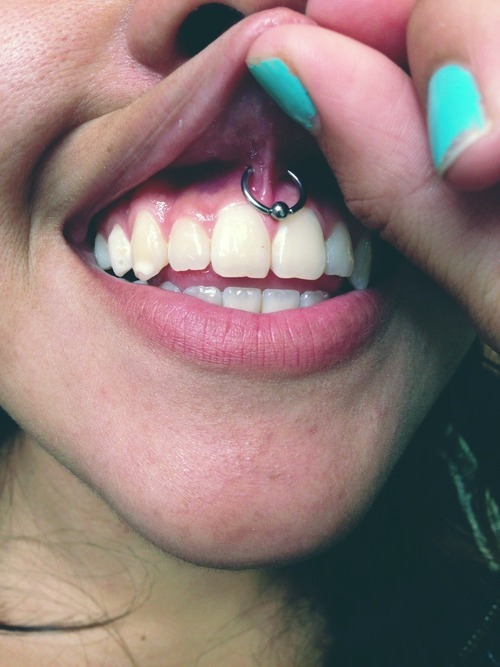 The piercing expert then inserts a hollow, sterilized needle through the upper lip frenulum and places the jewelry. 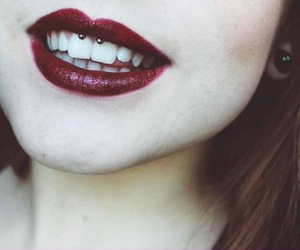 As the frenulum of the upper lip is thin and delicate, the piercing gets quickly completed when done by a skilled professional piercer. So there is a lesser possibility of getting hurt during the procedure. However, with a low pain threshold, you are more likely to experience some amount of pain. 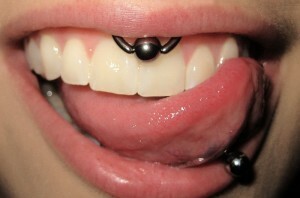 It will take about 4 to 12 weeks for the piercing to heal properly. Do not get the piercing done if you are wearing braces as the jewelry may get caught, injuring the frenulum. Severe swelling and redness mark an infected piercing. Make sure you do not twist or pull the jewelry to reduce the risk of infection. 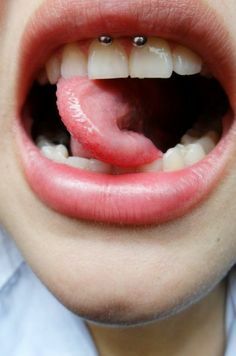 You should alter the way of biting food until healing as the upper lip frenulum may tear, causing bleeding. Since the jewelry keeps coming in contact with the teeth and gums, there is a greater possibility of a gum disease or tooth loss. Wear quality jewelry that suits your body to prevent it from getting rejected. Flaunt your pierced lip frenulum with stylish horseshoe barbells, curved barbells, and captive bead rings. 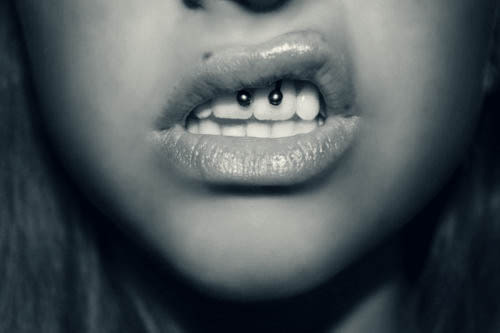 The price of the piercing may vary between $30 and $80 in most elite parlors.